Safe and effective termite treatments in Hervey Bay and surrounding areas! Sandy Straits Pest Control specialises in protecting homes in the Hervey Bay, Maryborough and the Wide Bay area from subterranean termites, with effective termite treatments. Statistics show that termites attack one in three homes, and it can cause significant damage in as little as three months. Termite damage is not covered by household insurance, so you need to put an end to your infestation with proven termite treatments straight away. We recommend you have regular timber pest inspections, at least every 12 months. All inspections are carried out to the Australian Standards AS 3660.2-2000, by our licensed pest inspectors. Once a thorough visual timber pest inspection has been completed, our technician can advise you on your best method of treatments for the installation of a termite management system. Sandy Straits Pest Control uses two different chemical termite treatments for our chemical treated barriers – Termidor and Biflex. 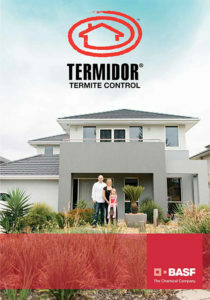 Termidor is a non-repellent termiticide, meaning termites cannot detect the chemical in the ground. While foraging through the soil, termites come in contact with the chemical and take it back to the nest, which helps to eliminate the colony. 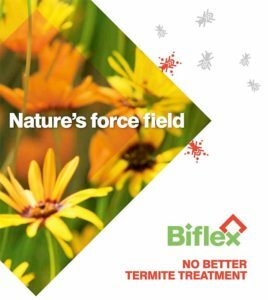 Biflex is a repellent termiticide; when termites forage through soil that has been treated with Biflex, they are repelled from the treated area and die. Here at Sandy Straits Pest Control, we use the Altis Reticulation System, which is installed under concrete slabs, or used as an external perimeter installation. 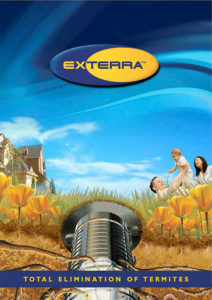 We also use the Exterra Termite Interception and Baiting System which is an environmentally friendly way to eliminate termites. It is a system of in-ground, in-concrete and above-ground stations. Bait stations can be placed in the ground around your property where termites are likely to be foraging for food, in the concrete surrounding your home, or above ground when termites are already active in your home. If you’re looking for solutions for all your pre-construction requirements, we offer the HomeGuard Precision Termite Management System. 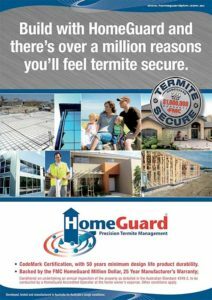 HomeGuard is a physical and chemical subterranean termite barrier, which is installed to the foundations of new buildings and extensions to prevent termites entering your property. Sandy Straits Pest Control also offers pre-purchase inspections for your next new home purchase in Hervey Bay, Maryborough and the Wide Bay area. Our licensed pest inspectors work in conjunction with a licensed building inspector to enable us to offer you the complete building and pest inspection option.